A teenager in America has used social media to help dispell the stigma which comes with suffering from acne, by showing off her pimples. Growing up with sensitive skin can be a testing time, especially in those formative years where you can be, more-often-than-not, judged by your appearance. If you suffer from acne or eczema, (like I did), it can really stunt your confidence – you start to have doubts as to whether you should go out as your fears worsen in regards to your looks. 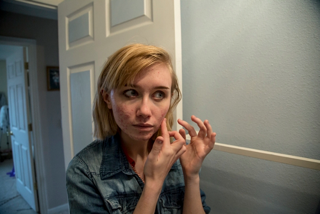 17-year-old, Hailey Wait, who has been dealing with cystic acne since the age of 11 – a skin condition which occurs when hair follicles become clogged underneath thus leaving behind painful bumps – wants to break the stigma behind skin conditions. Brave Hailey has taken ‘one for the team’ by posting an image of her face – make up free – exposing her skin bumps and acne. While others may be tempted to cover it up with makeup or even editing their photos, she’d rather show her ‘honest’ face in a bid to show others it’s nothing to hide away from. It started with my cheeks and then it went to my chin and then my forehead and then it kind of went all over the place. It’s difficult because you can’t get rid of it right away and it always feels like there is a little monster egg in your face but you can’t get rid of it. Every time you bump into it or barely touch it or something it feels like your face is on fire. It was too painful. I remember one night crying in my bed because I was just in so much pain. It was red and splotchy and I just felt like a garbage can. I felt disgusting. I felt like I wasn’t pretty. I didn’t feel like I fit in anywhere, which is silly because everybody or at least more people get acne. I had a lot of people at school kind of just give me dirty looks. They’d call me ‘pizza face’ – you know, those generic acne terms. However, in the past few months ‘it’s definitely changed’ – Hailey says she’s decided to let her face and skin breathe and not go to the trouble of applying makeup to cover up her acne and bumps. She wants to show others who might be going through the same thing you can be beautiful and confident whether you have acne or not. I stopped wearing it because I just noticed it wasn’t doing anything for me. It was only hiding me and I felt like every time I walked out of the door I wasn’t being myself. 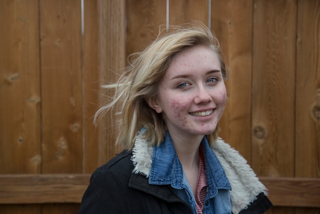 I feel like I have embraced my acne by not hiding it anymore and just kind of be real with myself and real with other people. Before Hailey started feeling more confident about her acne, you could tell she was more shut in. You can really tell the difference now she’s accepted her acne. 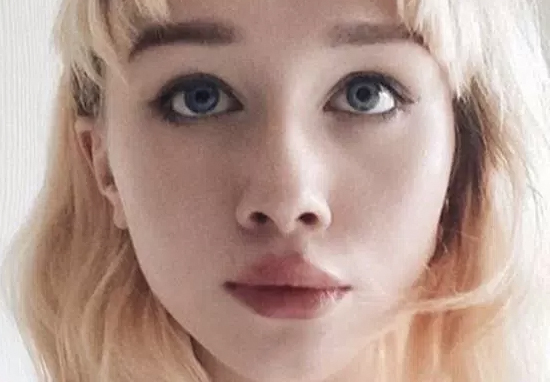 All of her Instagram pictures are very open and honest with no makeup and no filters. She doesn’t wear foundation anymore and you can tell she’s just comfortable with herself. I think sometimes I do feel she’s insecure but still, she’s working on it. I mean, young adults have all gone through it – it takes time and she’s in a good place now. She’s really been embracing that. It’s huge for me to see her confidence levels come up and her embracing the acne and even putting a picture on Instagram – like who does that, so to me, it’s a lot of confidence. I feel like I’ve influenced a lot of people that have insecurities in general, by setting an example and showing it’s not the end of the world if you don’t have the perfect skin. For me acne just represents humanity because it’s something a lot of us have. Even if somebody doesn’t have acne, chances are they know somebody with acne – it doesn’t make them a bad person. It doesn’t make me a bad person. It doesn’t make me gross. It just means I have acne, and it will go away. I think I’ll stop wearing foundation for the most part, unless I’m doing some special event – even then, I feel like I really do want to just embrace my face and just go without it. I hope my story regarding acne really helps people to realise, just because you have these imperfections, it doesn’t mean you’re not amazing. It doesn’t mean you can’t be successful, it doesn’t mean you can’t be glamorous. Beauty is so much more than your face. Well done Hailey, we salute your confidence and your drive to break the stigma of suffering from skin conditions like acne.